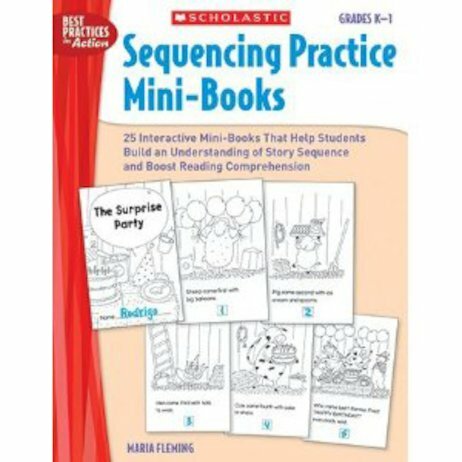 Kids read, cut, paste, and draw to sequence the pages in these high-interest fiction and nonfiction mini-books that progress from easy to more challenging sequencing formats. As they interact with the stories to order events from beginning to end, children develop essential skills they need for understanding sequence, such as identifying context and picture clues, making predictions, drawing conclusions, and using key sequencing words. Helps boost comprehension, critical thinking, fluency, and vocabulary, too. Great for ELLs! For use with Grades K–1.